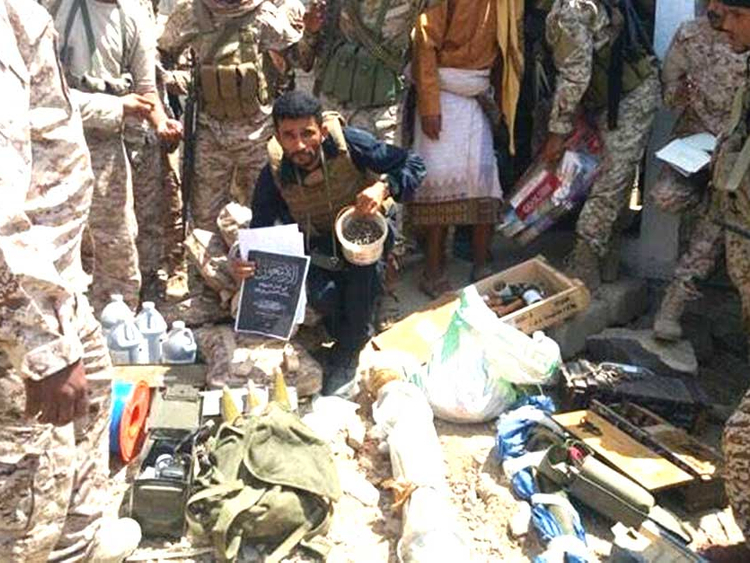 Al Mukalla: UAE-trained Yemeni forces seized control of Al Wadhea district in the province of Abyan from Al Qaida militants, residents told Gulf News on Thursday. Backed by UAE fighter jets, dozens of armed vehicles stormed many villages in the district forcing Al Qaida militants into fleeing to neighbouring rugged mountains, inflicting another major blow to the militant group that has long exploited the current war in Yemen to expand. “More than 40 armed vehicles carrying soldiers began to roll into Al Wadhea on Wednesday morning and briefly clashed with fleeing Al Qaida militants. The explosions rocked villages as advancing forces cautiously marched towards new areas,” a resident told Gulf News by telephone. Al Wadhea is the birthplace of Yemeni President Abd Rabbo Mansour Hadi. Residents said that the number of Al Qaida militants in the district has increased after similar UAE-supported Yemeni forces pushed them out from their strongholds in the neighbouring Shabwa province. “They set up checkpoints and stormed houses in Al Wadhea. They were looking for government soldiers,” another resident said. The considerable presence of the militants prompted Yemen army into launching a new offensive in Abyan. On Thursday, the troops completely cleared the district from Al Qaida checkpoints or presence under heavy air cover from Saudi-led coalition fighter jets. Army commanders who led the offensive said on Thursday that three local Al Qaida operatives were arrested and a large weapons stash were found in some raided houses. Large swathes of the Abyan province has experienced lawlessness since early 2015 when thousands of army troops switched sides and backed Al Houthis. When the Iran-backed rebels were defeated, local Al Qaida militants exploited a security vacuum and seized control of the province’s main cities including the capital Zinjibar. To fight off the well-organised militants, the Saudi-led coalition trained thousands of local fighters in military camps in Aden, Lahj and outside Yemen. In August last year, Yemeni army troops ousted the militants from the province’s main cities, squeezing Al Qaida out of the villages and rugged mountains. Local army commanders did not respond to Gulf News calls, but they were quoted in local press as saying that they would establish a permanent presence in Al Wadhea and are moving to dislodge Al Qaida from Abyan’s countryside. Terrorism experts in Yemen say that consecutive offensives by government forces, heavy drones strikes and defection have weakened Al Qaida in the Arabian Peninsula, Al Qaida’s most dangerous branch. Most senior leaders have been killed in US drone strikes since early 2015 when they seized control of Al Mukalla, the capital of the Hadramout province. After losing most of their major bastions, the militants are currently holed up in a chain of rugged mountains that link Abyan, Baydha and Shabwa provinces.